Our February staff pick was chosen by co-owner, Tim. 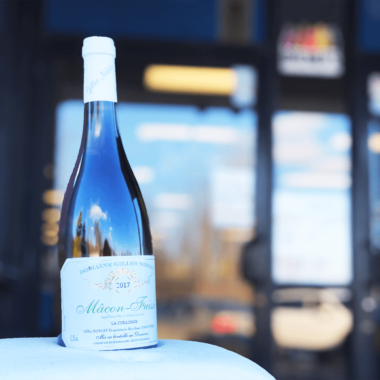 We’ve been getting plenty of great new wines lately and one of Tim’s favorites is the Domaine Gilles Noblet Macon Fuisse, a French white from the Burgundy region made with 100% Chardonnay grapes. Lightly oaked and perfectly balanced, this wine is the perfect choice if you’re looking for something new to try. “Golden straw color. Very intense aromas of pear and nectarine, enhanced by a dash of spice. Good freshness and perfect balance. Fine mineral finish.” -Vias Imports, Ltd. Looking for a delicious new recipe to go with this great new wine? Try this recipe we found for Chicken Dijon we found from Food & Wine. Make sure to pickup your bottle at Bremer’s or order it online now.